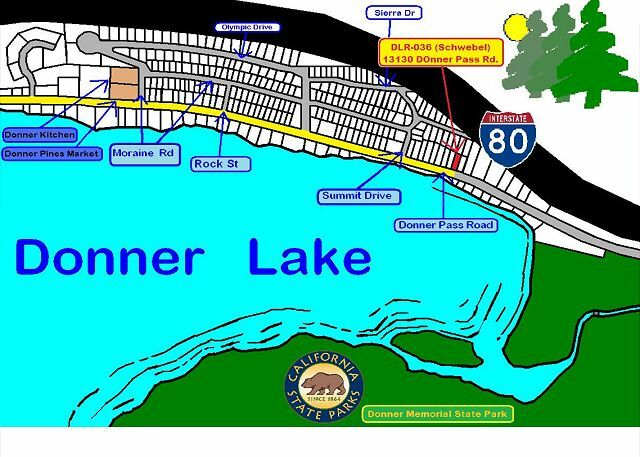 Truckee, CA United States - Schwebel 036 F/2N | Donner Lake Realty, Inc. 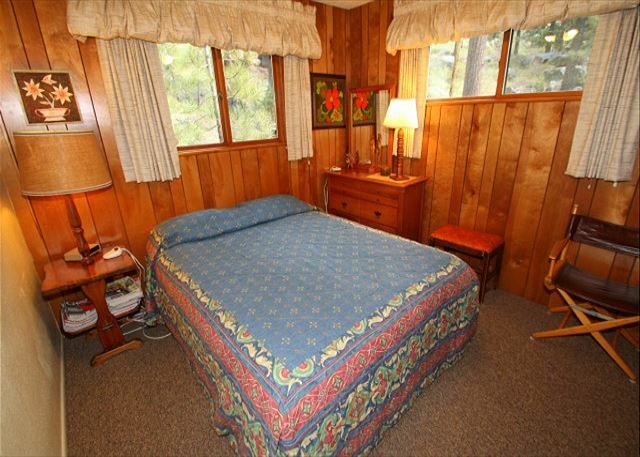 The Schwebel unit is 3 bedroom, 1 bath, that sleeps 6. 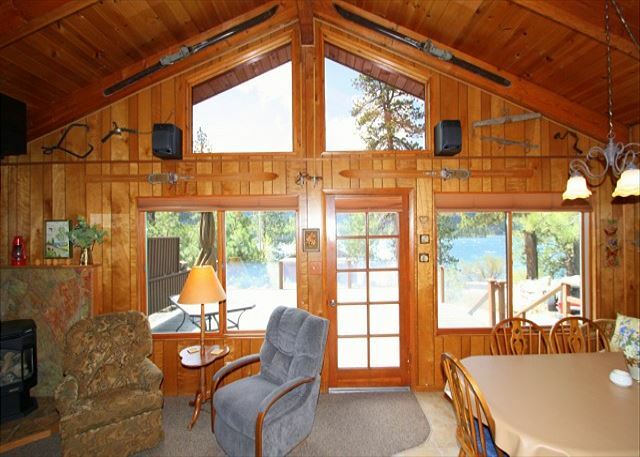 This single story cabin located at the North/East end of Donner Lake and has excellent lake and mountain views from the large deck and living areas. 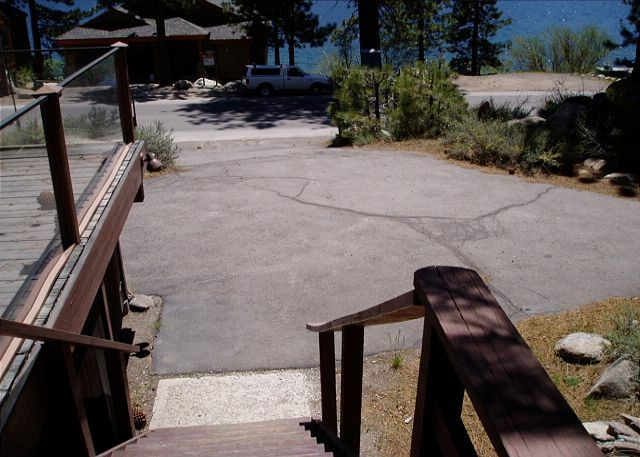 There are 9 steps from the parking pad to the front deck/main entrance. 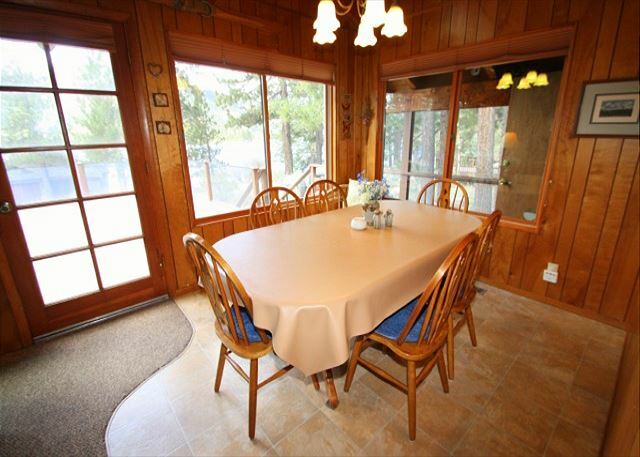 The sizable deck is equipped with a Gas BBQ, patio furniture, & retractable awning. 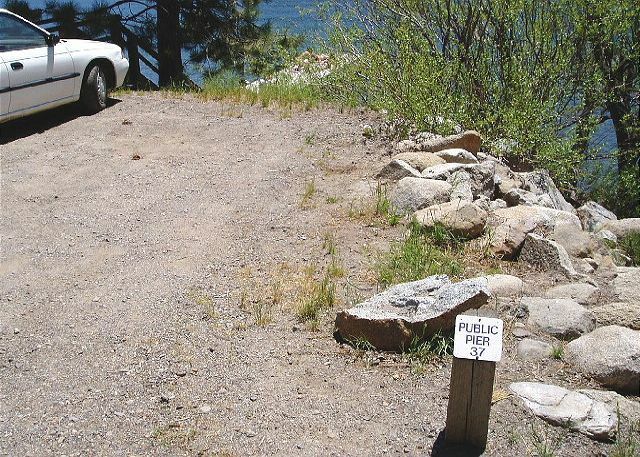 Just across the street are several public piers that are available on a first come first serve basis. 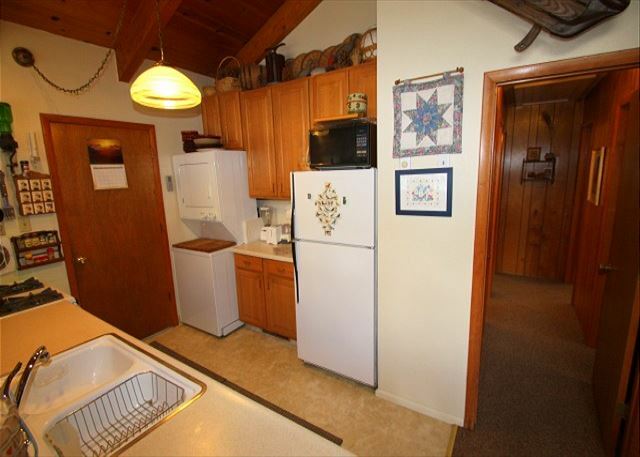 This quaint, classic cabin features vintage charm throughout, an open concept kitchen, living and dining area with wood paneled walls, vaulted ceilings with exposed beams, gas fireplace & picture windows allowing the guests to appreciate the beautiful lake views. 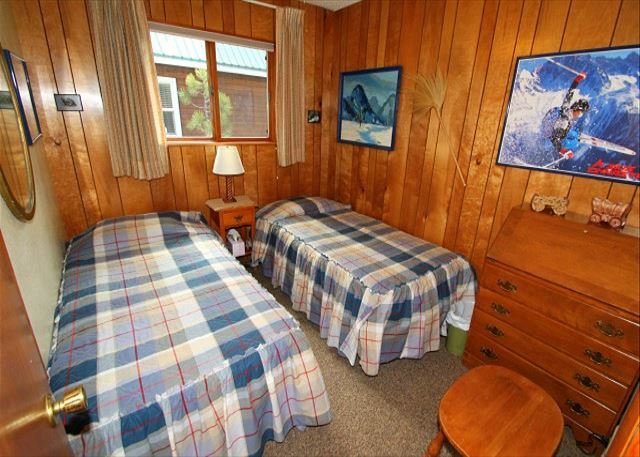 The kid's room has 2 twin beds and the other 2 bedrooms contain a Queen bed in each. the only bathroom is a Jack & Jill with a single sink that can be closed off from the toilet and tub/shower combination. 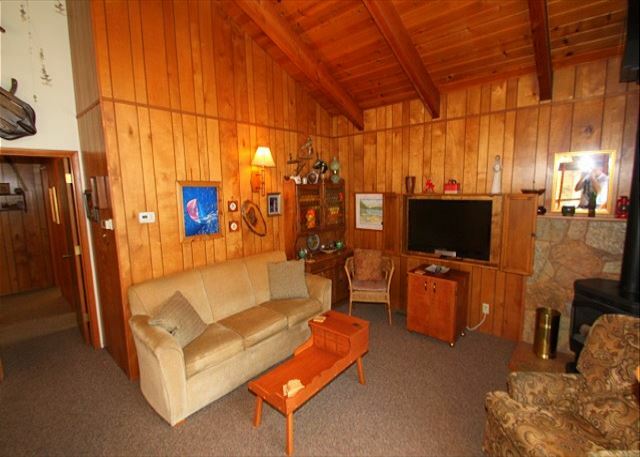 This cabin is a Summer vacation rental. Our units do NOT have sheets, pillow cases, or towels included in the rental. However, we do offer linen rental service with 72 hrs notice before arrival: sheets, pillow cases, and towels at a onetime fee of $10 per person. Check in time is Friday 3pm and check out time is 10am. **Nightly Minimum Subject to Change for Holidays** 4 night minimum for Thanksgiving, 7 night minimum for Christmas/New Year's, 3 night minimum for Martin Luther Holiday Weekend, 3 night minimum for Presidents Holiday Weekend, 3 night minimum over the 4th of July, 3 night minimum for Labor Day holiday Weekend.